These Halloween-shaped fruit snacks - pumpkins, castles, witches, bats & ghost are great for Trick or Treaters! Or to pack in kids lunches during the month of October. Halloween Mixed Fruit Fun Size Pouches come in a box of 28, each bag is .5 oz making these perfect snack bags. All Trick or Treaters will love them. 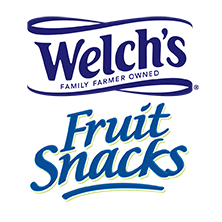 Same great taste as traditional Welch’s Fruit Snacks, these just come in spooky shapes. Click Here to find out where to buy. Strawberry, White Grape Raspberry, Orange, White Grape Peach, Concord Grape all in spooky shapes ready for Halloween.